Midnight Watching - Note Card - A gorgeous Abyssinian cat sits with his two Saw Whet Owl friends und.. 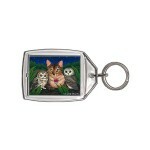 Midnight Watching - Keychain - A gorgeous Abyssinian cat sits with his two Saw Whet Owl friends unde.. 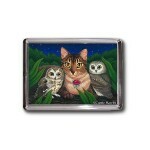 Midnight Watching - Magnet - A gorgeous Abyssinian cat sits with his two Saw Whet Owl friends under .. 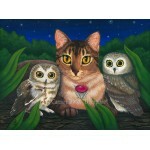 Midnight Watching - Ring - A gorgeous Abyssinian cat sits with his two Saw Whet Owl friends under a .. 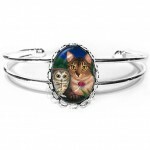 Midnight Watching - Cuffed Bracelet - A gorgeous Abyssinian cat sits with his two Saw Whet Owl frien.. 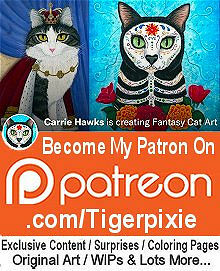 Midnight Watching - Bookmark - A gorgeous Abyssinian cat sits with his two Saw Whet Owl friends under a starry night at the midnight hour.. 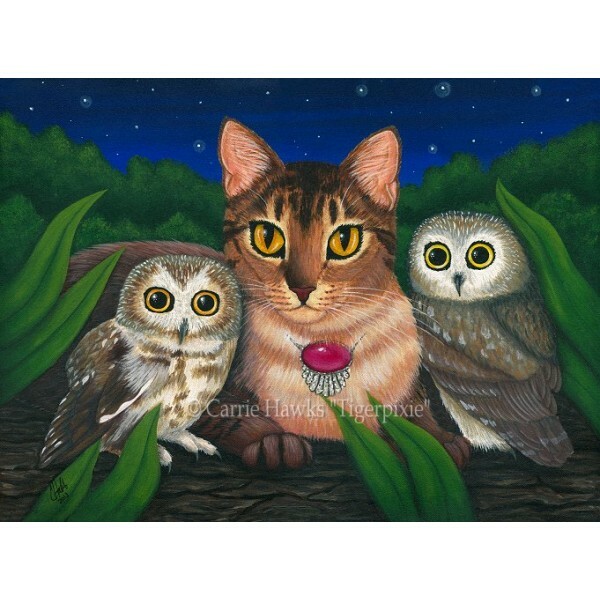 Midnight Watching - Ring - A gorgeous Abyssinian cat sits with his two Saw Whet Owl friends under a starry night at the midnight hour.Be sure to check.. Midnight Watching - Cuffed Bracelet - A gorgeous Abyssinian cat sits with his two Saw Whet Owl friends under a starry night at the midnight hour.Be su.. 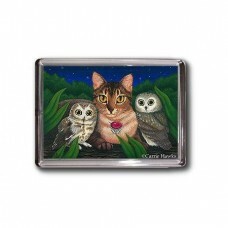 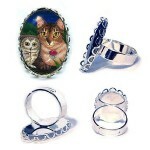 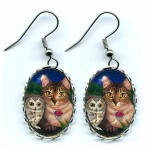 Midnight Watching - Earrings - A gorgeous Abyssinian cat sits with his two Saw Whet Owl friends under a starry night at the midnight hour.Be sure to c.. 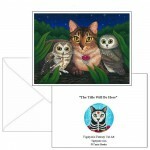 Midnight Watching - Limited Edition Canvas Prints - A gorgeous Abyssinian cat sits with his two Saw Whet Owl friends under a starry night at the midni.. 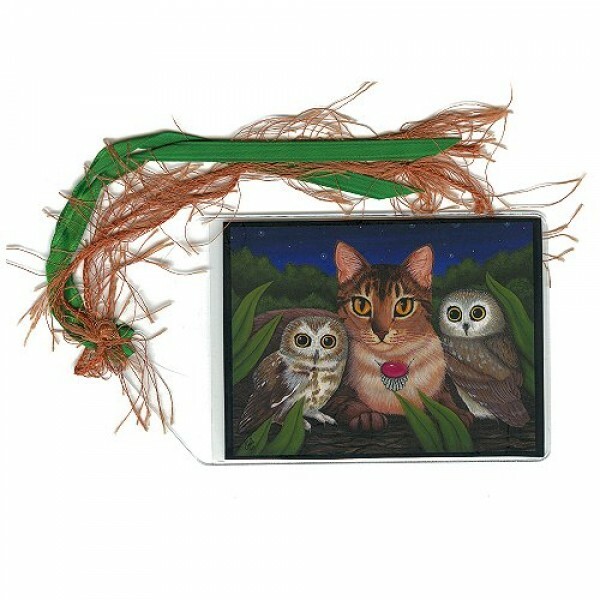 Midnight Watching - Original Painting - Size; 12" x 16" Medium; Acrylic on Canvas Sheet. 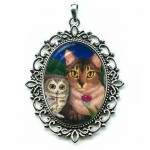 2013 - A gorgeous Abyssinian cat sits with his two Saw ..